The first of four rounds in this year’s Fox New Zealand Motocross Championships is now in the record books, but here’s a chance to look back and enjoy a few memories while they’re still fresh. Fast Turkey Video has produced several items for BikesportNZ.com from the weekend’s racing at the Barrett Road Motocross Park, on the outskirts of New Plymouth. Watch out for the Kiwi riders as they battle the Aussie invaders; look for the young guns taking on the established stars; watch as the gate drops and riders either win it or bin it. 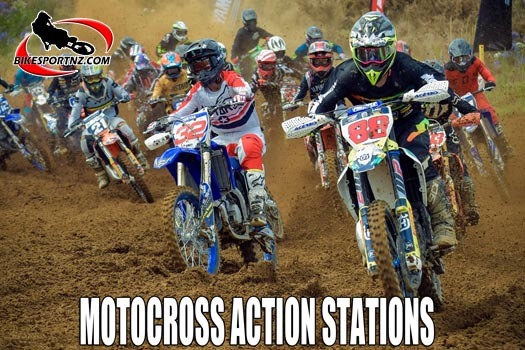 Today we bring you the 125cc class, with the MX2 and MX1 classes coming up for you shortly.